Guest post by Mark N. Katz This post by JHU Press author Mark Katz first appeared on LobeLog, a site devoted to U.S. foreign policy issues. Now that an agreement on the Iranian nuclear issue has been reached, attention is turning to how it will affect Israel and the Gulf Arabs. The accord, though, also has implications for the broader geopolitical competition between Russia and China on the one hand and America and their neighbors on the other. Many in Asia look fearfully at what they see as not just an increasingly powerful but also an increasingly assertive China. The Obama administration’s “pivot toward Asia” is focused on just this concern as well. Russia’s annexation of Crimea, support for separatists in eastern Ukraine, numerous military aircraft intrusions over several European countries, and other aggressive actions have raised American and European fears about Putin’s intentions. Further, the fact that Moscow and Beijing are increasingly cooperating with each other is also a cause for concern in America, Europe, and Asia. With tensions rising between America and its allies on the one hand and Russia and China on the other, it is especially remarkable that Russia and China have worked so cooperatively with America, Britain, France, and Germany to reach a nuclear accord with Iran. What explains this? 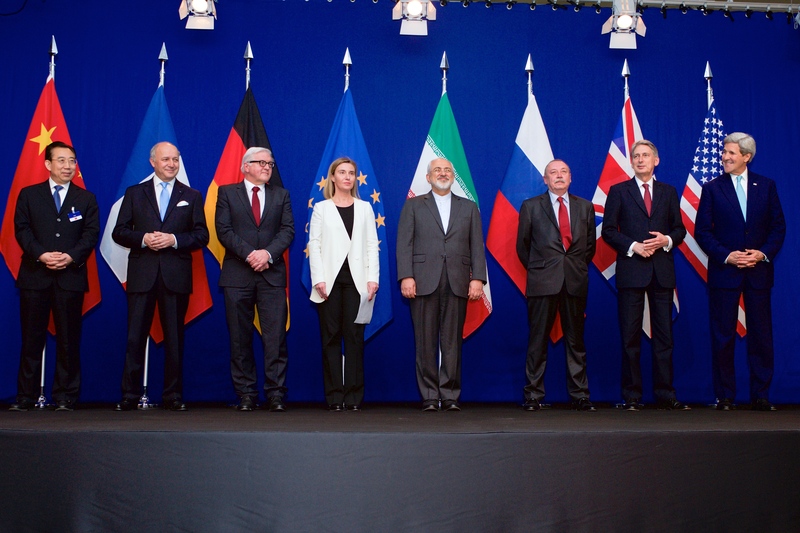 Reasons for Cooperation Many observers have pointed out that despite their differences, the P5+1 governments (America, Britain, China, France, Germany, and Russia) all have a common interest in preventing Iran from acquiring nuclear weapons. Yet neither Moscow nor Beijing ever seemed as fearful as America and Europe, much less Israel and the Gulf Arab states, about the prospect of a nuclear Iran. “A pro-American Iran is more dangerous for us than a nuclear Iran” is a view that I have heard frequently expressed in Moscow. Russia and China would quickly accommodate a nuclear Iran even if (indeed, perhaps especially if) America and its allies did not. Other factors, then, must have motivated Beijing and Moscow to cooperate with the West in achieving an Iranian nuclear accord. China’s economic calculation, for instance, seems fairly straightforward. China needs petroleum. Iran has lots of it. China thus sought an accord that would lift international restrictions on its petroleum purchases from Iran. Beijing could, of course, have simply ignored these restrictions, but this would have complicated its extensive economic ties with the West. China is better off with a Western-approved accord that allows it to buy Iranian petroleum without damaging its trade with the West. For Russia, the economic calculation is not so straightforward. Unlike China, Russia is a petroleum exporter and so competes with Iran in this realm. Russia has benefited from international sanctions keeping Iranian petroleum off the world market. Especially after suffering both from Western sanctions and from the overall petroleum price decline recently, Moscow cannot be pleased that the announcement of an Iranian nuclear accord led to an immediate drop in the price of oil. Still, the end of economic sanctions against Iran opens other economic opportunities for Moscow, including the prospect of Russian investment in the reviving Iranian petroleum sector as well as increased exports of Russian arms and other goods to Tehran. Whatever their economic motivations (or lack thereof), Moscow and Beijing also have important political reasons to support the accord. Since Rouhani became president of Iran in 2013, Tehran itself has sought both a nuclear accord and improved ties with the West. So long as the Iranian government wants such ties, then for Moscow (which has less to gain from the end of international sanctions on Iran than Beijing) to try to oppose the agreement would risk damaging Russia’s own relations with Tehran. In the worst case (from the Russian point of view), attempting to block an Iranian nuclear accord may have led Tehran and the West to simply ignore Moscow and work out an agreement on their own, thus hurting Putin’s efforts to build the image of Russia as a great power. For both Russia and China, it was far better to support Iran’s efforts to get a deal with an America with which they are both at odds than to risk damaging their ties to Iran by attempting to thwart Tehran on this. The Geopolitics of the Accord Relations between America and its European and/or Asian allies on the one hand and either Russia, China, or both on the other may further deteriorate. This possibility provides a strong incentive to improve relations with Iran. Each side would prefer Iran to ally with it against the other, and at minimum wants to prevent Iran from siding with the other against it. Although Tehran is not likely to actively ally with Washington against either Moscow or Beijing any time soon, American interests would be well served at a time of increased tensions with Russia and China if Iran does not ally with either or both of them against the U.S. Moscow in particular is fearful that the Iranian nuclear agreement will lead to a broader Iranian-American rapprochement that it does not see as being in Russia’s interests. As noted earlier, so long as Tehran and Washington both want to improve their ties, Moscow really cannot stop them from doing so. Moscow, though, can take heart that there is plenty of opportunity for Iranian-American relations to sour without Russia doing anything. Conservative forces in both the U.S. and Iran have already announced their strident opposition to the agreement. America’s Middle East allies—Israel and the Gulf Arabs—also oppose the agreement and have considerable ability to rally opposition against it inside the U.S. If, for whatever reason, the nuclear accord is not implemented and Iranian-American relations sour, Moscow and Beijing can both be expected to pounce on the opportunity this will present. Both will join Tehran in blaming Washington as being responsible for the breakdown of the agreement. American efforts to restore sanctions against Iran might not only drive Tehran closer to Moscow and Beijing but might also alienate some of America’s allies more concerned with improving economic ties to Tehran than with the possibility of an Iranian nuclear threat. In the worst case, growing hostility between Iran and the U.S. at a time when tensions with Russia and/or China are also growing could result in Iran becoming their informal or even formal ally. This would neither be in the interests of America nor of America’s Middle East allies, who genuinely fear Iran. The opponents of the Iranian nuclear accord claim that it involves too many risks and not enough benefits. But at a time when increased geopolitical competition with Russia and China looms, it is the failure of the Iranian nuclear accord that would incur serious risks while providing no benefits to the U.S. Mark N. Katz is a professor of government and politics at George Mason University. 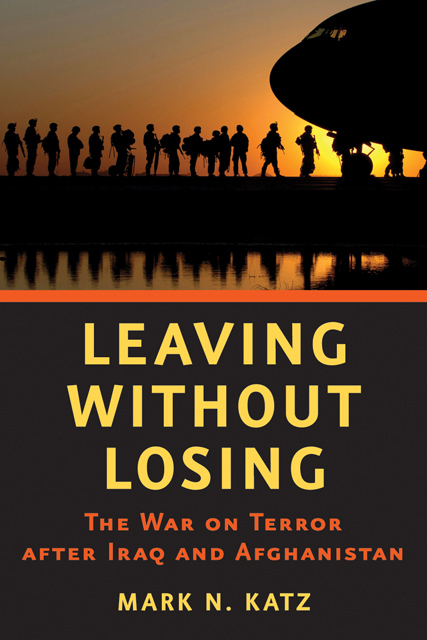 He is the author of Leaving without Losing: The War on Terror after Iraq and Afghanistan, published by JHU Press. Putin’s New Russia: Fragile State or Revisionist Power? How Did Putin's Russia Develop?